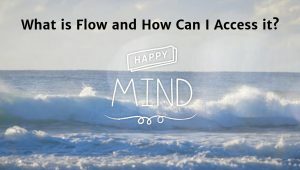 Clinical psychologist Chris Mackey discusses the concept of flow and how you can access it yourself. Being in a state of flow is when we’re fully absorbed in what we’re doing, barely aware of the passage of time. Doing activities which cause us to enter a state of flow helps us to recognise that happiness in life often comes from the attainment of positive experiences, rather than the simple pursuit of material goods. This clip was taken from series 2, episode 8 of Destination Happiness.